And don’t worry, editing these templates is no sweat — just add your logo, some text, and images and you're good to go! It’s no longer acceptable to click through a dreadfully boring presentation as your audience drifts in and out of consciousness. 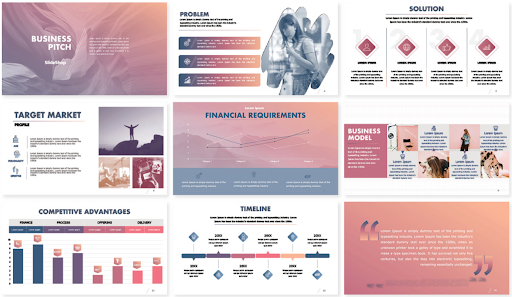 Your presentations need to tell a story, and SlideShop allows you to convince, compel, and convert any audience with awesome visuals. Whether you’re presenting a business pitch, roadmap, report, or training, SlideShop makes sure everyone will not only stay awake but actually enjoy themselves. The proof is in the pudding, y'all: SlideShop has over 100,000 marketers, CEO’s, leading universities, and others creating stellar presentations. A key advantage SlideShop has over other sites is their presentations are built in PowerPoint. Every element in your presentation can be edited to your liking — colors, fonts, and logos. The thought of putting together a presentation usually sends shivers down your spine. But now, with SlideShop, you can trade those shivers for goosebumps (of excitement). 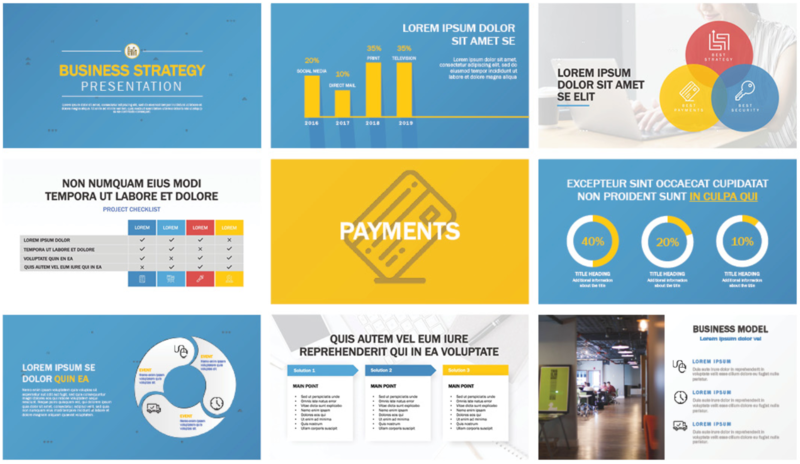 Get access to the SlideShop AppSumo Plan and create perfect presentations every time! P.S. Previous deal buyers have been automatically upgraded to the new AppSumo Plan with unlimited Standard Templates and 20 Premium Templates a month. For unlimited Premium Templates, you only need to buy one code!